The scientific literature is awash in correlations between a person’s health status and various biomarkers, personal characteristics, and measurements. As we hoard more and more data and develop increasingly sophisticated autonomous tools to analyze it, we’ll stumble across new connections between seemingly disparate variables. Some will be spurious, where the correlations are real but the variables don’t affect each other. Others will be useful, where the correlations indicate real causality, or at least a real relationship. One of my favorite health markers—one that is both modifiable and a good barometer for the conditions it appears to predict—is grip strength. In middle-aged and elderly people, grip strength consistently predicts  mortality risk from all causes, doing an even better  job than blood pressure. In older disabled women, grip strength predicts all-cause mortality , even when controlling for disease status, inflammatory load, depression, nutritional status, and inactivity. Poor grip strength is also an independent risk factor for type 2 diabetes  across all ethnicities, and it can predict the presence of osteoarthritis in the knee . Among Korean adults, those with lower grip strength have a greater risk of clinical depression . Even when hand grip strength fails to predict a disease, it still predicts the quality of life in people with the disease . The relative rate of grip strength reduction in healthy people is a good marker  for the progression of general aging. Faster decline, faster aging. Slower (or no) decline, slower aging. Stronger people—as indicated by their grip strength—are simply better at navigating the physical world and maintaining independence on into old age. So, how does one build grip? Most people will get a strong-enough grip as long as they’re lifting heavy things on a consistent-enough basis. Deadlifts are proven grip builders. Wide grip deadlifts are also good and stress your grip across slightly different angles. Both require a good grip on the bar. This is pretty simple. Just hang from a bar (or branch, or traffic light fixture) with both hands. It’s probably the purest expression of grip strength. As it happens, it’s also a great stretch for your lats, chest, shoulders, and thoracic spine. Aim to hit one minute. Progress to one-hand hangs if two-handers get too easy. You can use a lower bar and keep one foot on the ground for support as you transition toward a full one-handed hang. Grab the heaviest sledgehammer you can handle and use it in a variety of ways . If you had to pick just one sledgehammer movement to target your grip, do the bottoms up. Hold the hammer hanging down pointing toward the ground in your hand, swing it up and catch it with the head of the hammer pointing upward, and hold it there. Handle parallel to your torso, wrist straight, don’t let it fall. The lower you grip the handle, the harder your forearms (and grip) will have to work. Most people who try fingertip pushups do them one way. They do them with straight fingers, with the palm dipping toward the ground. Like this . Those are great, but there’s another technique as well: the claw. 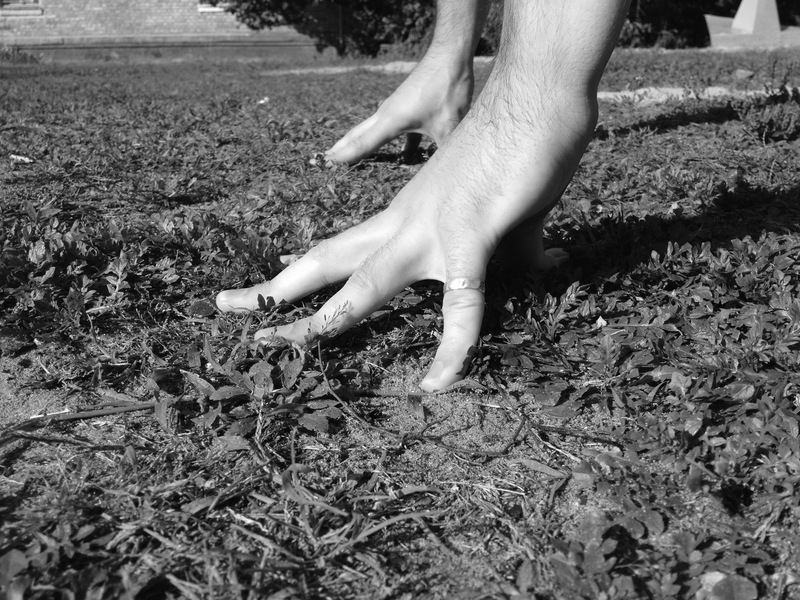 For the claw, make a claw with your hand, like this , as if you’re trying to grab the ground. In fact, do try to grab the ground. This keeps your fingers more active, builds more strength and resilience, and prevents you from resting on your connective tissue. These are hard for most people. They’re quite hard on the connective tissue, which often goes underutilized in the hands and forearms. Don’t just leap into full fingertip pushups—unless you know you’re able. Start on your knees, gradually pushing your knees further back to add resistance. Once they’re all the way back and you’re comfortable, then progress to full pushups. These are similar to claw pushups, only with the palm down on the floor. Flat palm, active “claw” fingers. They are easier than fingertip pushups. The average person these days is not carrying water pails and hay bales and feed bags back and forth across uneven ground like they did when over 30% of the population lived on farms, but the average person can quickly graduate past average by doing farmer’s walks a couple times each week. What is a farmer’s walk? Grab two heavy weights, stand up, and walk around. They can be dumbbells, barbells, kettlebells, or trap bars. You can walk up hill, down hill, or around in circles. You can throw in some shrugs, or bookend your walks with deadlifts or swings. The point is to use your grip to carry something heavy in both hands. Grasp and hold weight plates between your thumb and each finger. Next time you do some curls, throw in a few sets of hammer curls. These are identical to normal bicep curls, except you hold the weights in a hammer grip, with palms facing toward each other—like how you hold and swing a hammer. Make sure to keep those wrists as straight as possible. The thing about grip is it’s hard to work your grip without getting stronger, healthier, and faster all over. Deadlifting builds grip strength, and it also builds back, hip, glute, and torso strength. Fingertip pushups make your hands and forearms strong, but they also work your chest, triceps, abs, and shoulders. That’s why I suspect grip strength is such a good barometer for overall health, wellness, and longevity. Almost every meaningful piece of physical activity requires that you use your hands to manipulate significant amounts of weight and undergo significant amounts of stress. 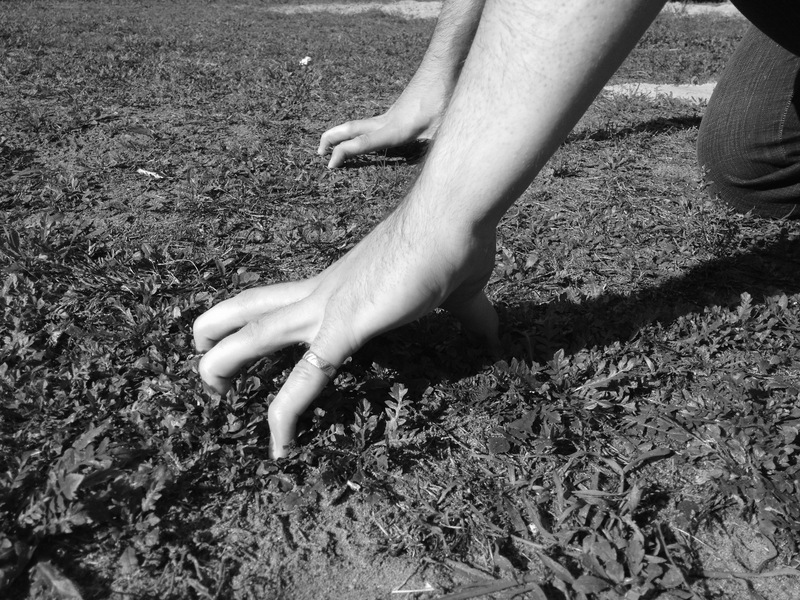 For that reason, the best way to train your grip is with normal movements. Heavy deadlifts and farmer’s walks are probably more effective than spending half an hour pinch gripping with every possible thumb/finger permutation, because they offer more full-body benefits. But if you have a few extra minutes throughout your workout, throw in some of the dedicated grip training. Your grip can handle it. The grip muscles in the hands and forearm are mostly slow-twitch fiber dominant, meaning they’re designed to go for long periods of exertion. They’re also gross movers, meaning you use them all the time for all sorts of tasks, and have been doing so for decades. To make them adapt, you need to stress the heck out of them with high weight. Train grip with high reps, heavy weights, and long durations. This is why deadlifts and farmer’s walks are so good for your grip—they force you to maintain that grip on a heavy bar or dumbbell for the entire duration of the set with little to no rest. Oh, and pick up some Fat Gripz . These attach to dumbbells and barbells and increase the diameter of the bar, giving you less leverage when grabbing and forcing you to adapt to the new grip conditions by getting stronger. Now, will all this grip training actually protect you from aging, type 2 diabetes, osteoarthritis, and early all-cause mortality? Maybe, maybe not. But it—and the muscle and fitness you gain doing all these exercises—certainly doesn’t hurt. How’s your grip? How’s your handshake? How long can you hang from a bar without letting go? Thanks for reading, everyone. Take care, be well, and go pick up and hold some heavy stuff. Sasaki H, Kasagi F, Yamada M, Fujita S. Grip strength predicts cause-specific mortality in middle-aged and elderly persons . Am J Med. 2007;120(4):337-42. Leong DP, Teo KK, Rangarajan S, et al. Prognostic value of grip strength: findings from the Prospective Urban Rural Epidemiology (PURE) study . Lancet. 2015;386(9990):266-73. Rantanen T, Volpato S, Ferrucci L, Heikkinen E, Fried LP, Guralnik JM. Handgrip strength and cause-specific and total mortality in older disabled women: exploring the mechanism . J Am Geriatr Soc. 2003;51(5):636-41. Van der kooi AL, Snijder MB, Peters RJ, Van valkengoed IG. The Association of Handgrip Strength and Type 2 Diabetes Mellitus in Six Ethnic Groups: An Analysis of the HELIUS Study . PLoS ONE. 2015;10(9):e0137739. Wen L, Shin MH, Kang JH, et al. Association between grip strength and hand and knee radiographic osteoarthritis in Korean adults: Data from the Dong-gu study . PLoS ONE. 2017;12(11):e0185343. Lee MR, Jung SM, Bang H, Kim HS, Kim YB. The association between muscular strength and depression in Korean adults: a cross-sectional analysis of the sixth Korea National Health and Nutrition Examination Survey (KNHANES VI) 2014 . BMC Public Health. 2018;18(1):1123. Lee SH, Kim SJ, Han Y, Ryu YJ, Lee JH, Chang JH. Hand grip strength and chronic obstructive pulmonary disease in Korea: an analysis in KNHANES VI . Int J Chron Obstruct Pulmon Dis. 2017;12:2313-2321. Iconaru EI, Ciucurel MM, Georgescu L, Ciucurel C. Hand grip strength as a physical biomarker of aging from the perspective of a Fibonacci mathematical modeling . BMC Geriatr. 2018;18(1):296.